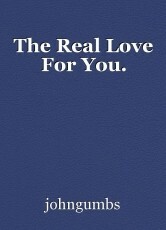 The Real Love For You. Like fishermen we all go out fishing; we are fishing for love. A short poem. It is everywhere, with a great feeling behind it. And when you do, just don't make a fuss. The real love for you, you'll know.